As part of the CRITEX project, a sampling system for the enhanced use of integrative passive samplers in boreholes has been developed (Diapason system, Patent pending, FR 17 51476). Two goals are pursued, based on the capabilities of pre-concentration of passive samplers: on one hand, getting more reliable concentration measurements of chemical elements; on the other hand, allowing the use of these passive samplers for the determination of isotopic ratios of some trace metals. Concerning groundwater analysis, particularly groundwater located in the critical zone (0-100 m depth), this new system makes it possible to create a controlled water flow in a support housing Diffusive Gradient in Thin film type (DGT) passive samplers. It further allows the pre-concentration of the chemical species over a given time period in order to facilitate the trace element concentrations measurement and isotopic ratios determination. The economic model of the device is based on an assembly of commercially available equipment, novation being based on the support, designed from A to Z (patent pending). 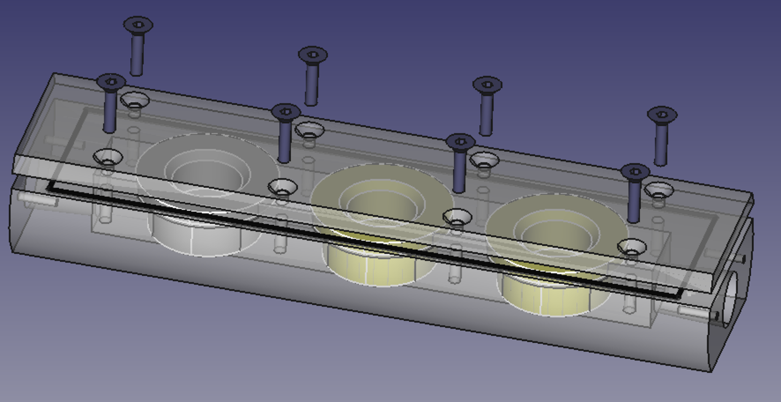 The device aims at recreating sufficient water flow conditions to avoid the creation of a too large Diffusion Boundary Layer (DBL) on the DGT surface. This DBL limits the pre-concentration capacities of the DGTs. 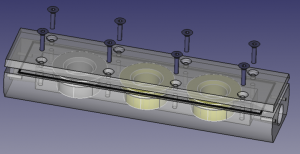 The simulations were run to optimize the DGT position inside the holder and to regulate the fluid velocity (inlet flow imposed by a small pump with variable flow) in order to obtain laminar flow at the surface of the DGT. Thus, conditions equivalent to those of a weakly agitated surface water circulation are mimicked (i.e. a river). 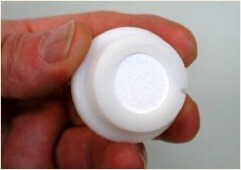 Blanks measurements were done to ensure of the non-contamination of the device. The first tests were carried out in a column simulating a borehole, including pump, DGT holder and ball flow meter. Initial functional tests were carried out with tap water to observe the water flow in the device and to determine the technical characteristics of the system (current, voltage, flow conditions …). 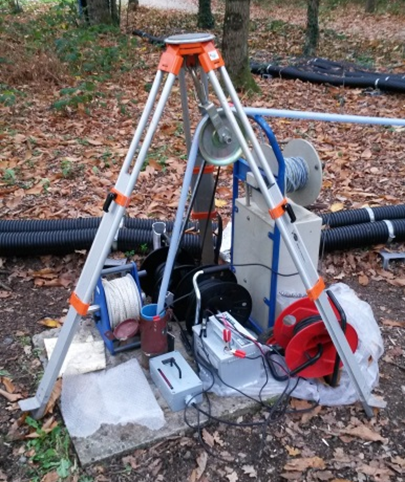 We then carried out 6 days of system immersion on a BRGM piezometer. In parallel, daily sampling by conventional pumping method was realized. Water analyzes and DGT analyzes were done to get a basis of comparison. 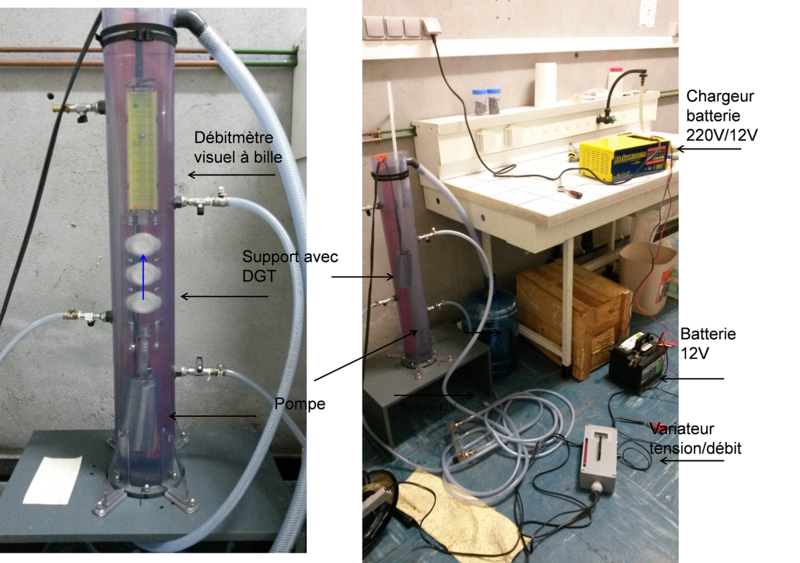 Finally, we carried out tests on boreholes in the Coët Dan experimental catchment (Naizin, Morbihan, RBV observatory). First results are based on spectra analyses on chemical elements, in order to compare the accumulated mass of elements in the DGT with respect to the water concentration. The isotopic determination seems possible for U, Sr, Nd, Ni (…) with the exception of Cu and Zn at the moment. This is probably due to contamination aspects either in DGTs (need to add a conditioning step prior to deployment) and/or via the field procedures (specific care), which should be further studied in order to make a target decision concerning isotope analysis on these two elements.